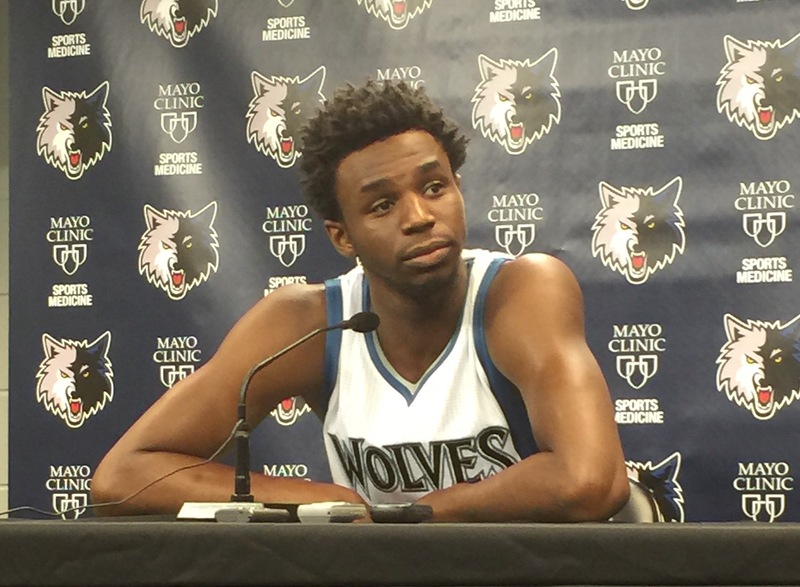 The Timberwolves, along with most other NBA teams, hosted their annual Media Day today. At Target Center, players dressed up in their white game uniforms and posed for pictures out on the arena floor. After general manager Milt Newton and head coach Sam Mitchell were finished, each player took a turn at the front of the press room, answering whatever questions came their way. There were some common themes and answers throughout. Most, if not everybody was asked about Flip Saunders being away from the team in cancer recovery. Each response was the same; both predictable and unquestionably genuine: everybody wishes for, and expects a strong recovery for Saunders while he spends time (entirely) away from the Timberwolves. Of note, Newton reiterated that there is to be zero contact with Flip right now, per the directive of Glen Taylor. His recovery is not only the most important thing to Taylor and the Saunders Family, but it is the only thing. 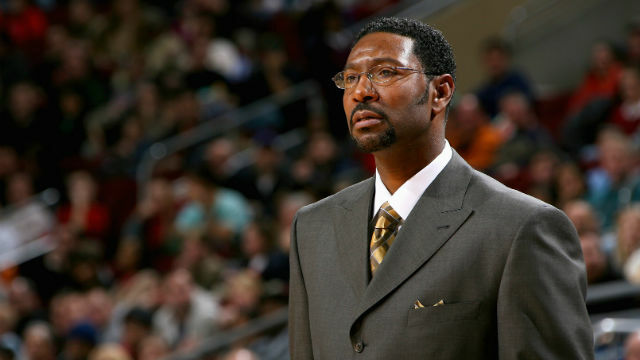 Another basic, common message that seemed to repeat itself was that Sam Mitchell is a more intense coach than Saunders. The players have only been exposed to Head Coach Mitchell in the open gym setting thus far, but they are already convinced that he will be more of a disciplinarian; more of a yeller. When Kevin Martin was asked if that is an outdated teaching style in today’s NBA, he said no, and pointed to Gregg Popovich and the Spurs who respond to harsh criticisms because they respect the person dishing it out. He says these players have similar respect for Mitchell and it will not be a problem. That seems like both the right attitude to take, and also something that can’t be proven true for at least a couple months. What follows are my biggest takeaways from each individual presser. These are my interpretations here, and I’ll paraphrase most comments because I was taking notes instead of recording. I thought there were a lot of interesting answers in an event that is sometimes filled with safe cliches. Newton went first today. He said the Wolves will try to be a more aggressive defensive team than they were last year. 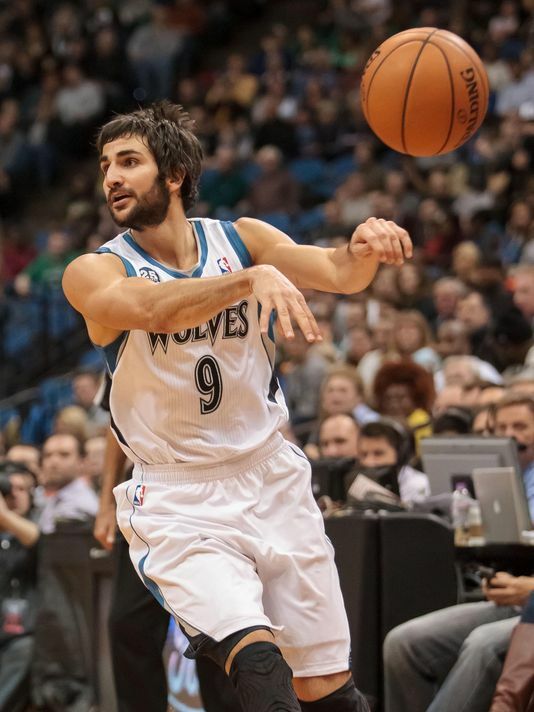 Newton talked about Ricky Rubio and said that they won’t worry about what Ricky can or cannot do. He is going to run the offense and take open shots. There was something relieving about the way he made that seem so simple and obvious. Newton said that, from a roster building standpoint, they had “the whole board covered,” on player development. KG will mentor the bigs, Tayshaun Prince the wings, and Andre Miller the guards. Coach Mitchell had a few noteworthy things to say, when he wasn’t passing over reasonable questions by playing the “It’s too early” card. As he told Jerry Zgoda in his recent interview for the Star Tribune, Mitchell made clear that this season is more about player development than winning now. When pressed for more detail, he said that the young players will need the opportunity to play in games, in order to get better. He said he was less concerned about the veterans’ minutes (meaning Miller/Prince/KG). Mitchell was pressed on his three-point shooting philosophy and it sounded exactly like Flip Saunders’. Based on his answers today, Mitchell does not believe that teams go out of their way to generate good three-point shots throughout the game, but instead those shots come out of the flow of an offense. This was not encouraging, but we’ll see what sort of sets he runs and what they lead to. A final point from Mitchell was that he wants these young players to first do the things that they are comfortable doing, before branching out into other areas. This is the opposite of what Flip did with Wiggins last year, when he was constantly putting pressure on him to attack, attack, attack. It is also the opposite of what Kurt Rambis used to do when he would emphasize how he was making players do things they had not done before. It seems more from the Adelman and (long before him) Bill Musselman schools of thought, in terms of putting players in position to do what they can do well, in games. However many games he plays this year, I hope we get a lot of Kevin Garnett media availability.